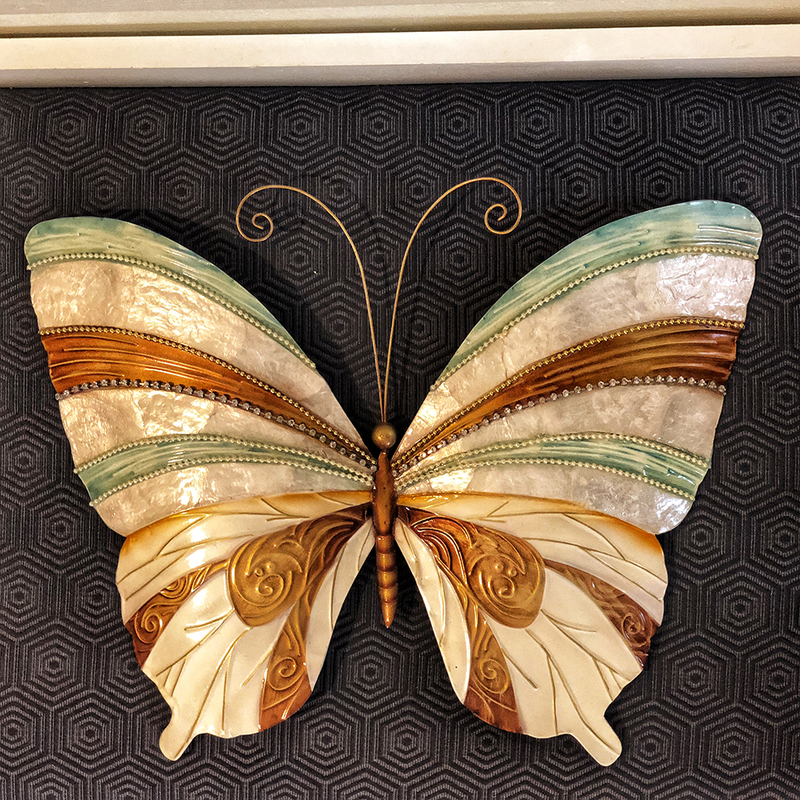 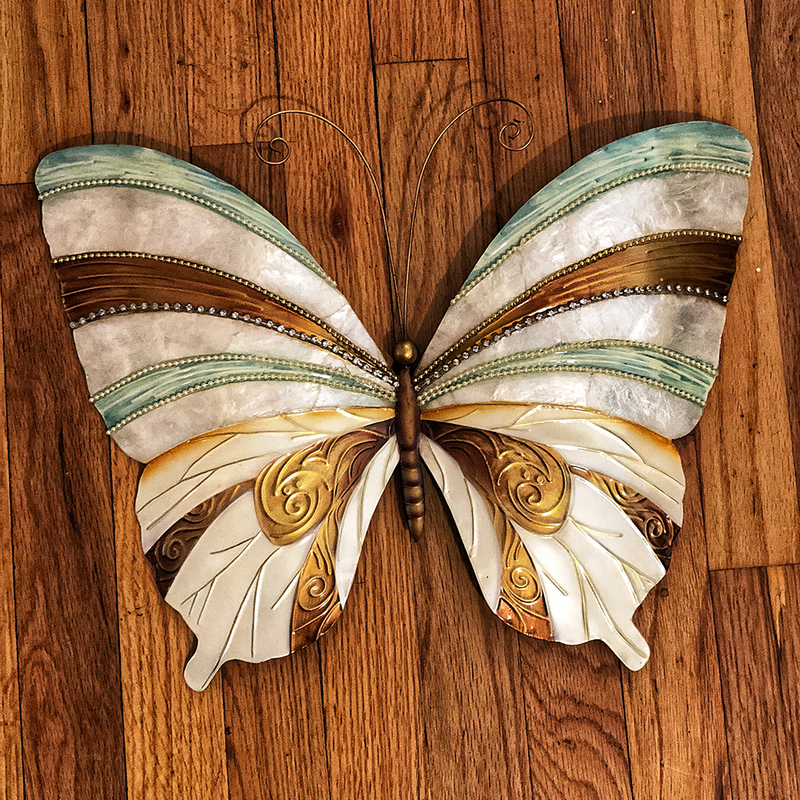 With warm copper tones and elegant, contemporary soft blues, this butterfly hits all the right trends. 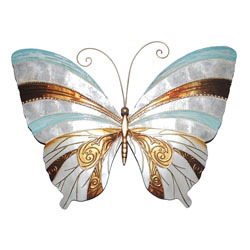 The artist heightens this feel with capiz shell and shimmering beads. 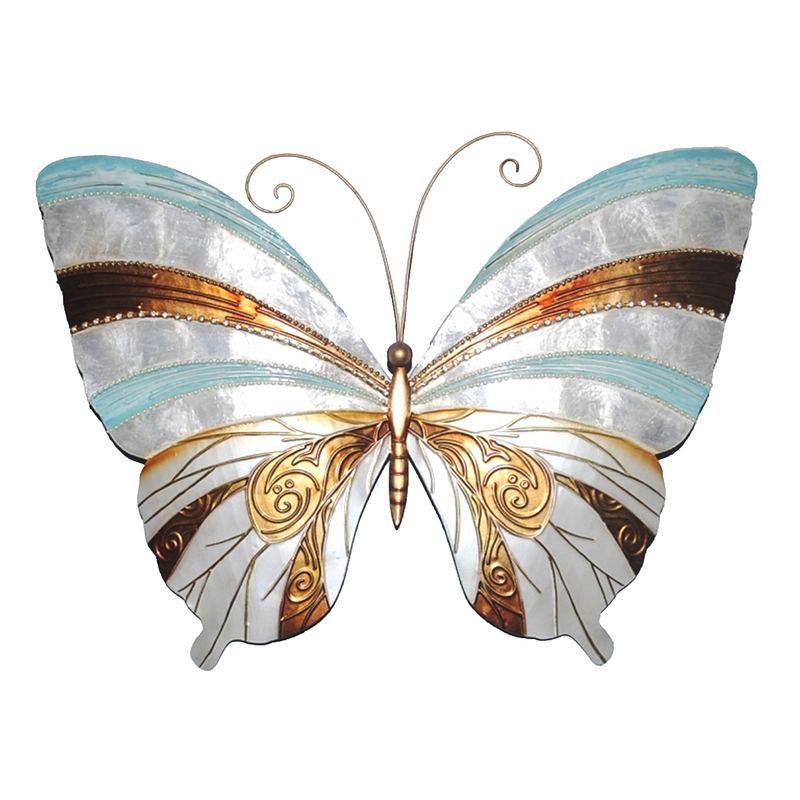 The hand-painted finish flows gracefully along clean lines radiating outwards towards its wingtips.